Please join us alongside SPD and Space for Arts for the next Talking Pictures event. 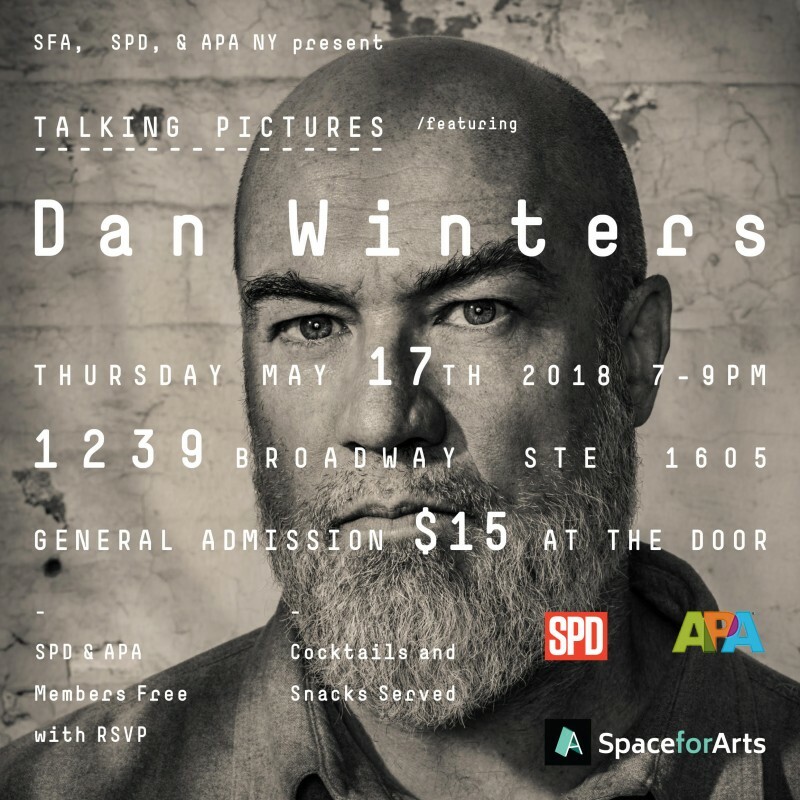 Dan Winters is an award-winning photographer who is best known for his celebrity portraits, photojournalism and illustrations. His work has been featured in a variety of publications including TIME, The New York Times Magazine, National Geographic and Rolling Stone. His work is in permanent collections at the National Portrait Gallery, Museum of Fine Art in Houston, the Telfair Museum and The Harry Ransom Center. Aside from an impressive client list and overall body of work, Dan has a collection of successful books in publication that addresses a variety of subjects, including Road To Seeing, a deep dive into his personal journey in photography and The Grey Ghost, a selection of 30 years of New York street photography.